Dr. John Duckworth received his training in Periodontology at Harvard University. After he graduated from dental school, he was awarded a research fellowship from the National Institutes of Health. He was awarded the Orban Prize for Periodontal Research for his postdoctoral research. This award is given to the graduating periodontal resident who has done the best research in the world for that year. Dr. Duckworth then served as a full-time faculty member in the department of Periodontology at the Ohio State University College of Dentistry. At Ohio State, Dr. Duckworth performed periodontal research and trained students to be excellent dentists. 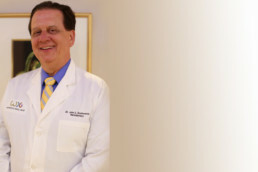 Dr. Duckworth has been in private practice, improving his patients’ oral health, since 1988. He is the former president of the Ohio Academy of Periodontics and director of the Robert Davis Interdisciplinary Study Club. He continues to provide continuing education to dentists and state-of-the-art care to his patients in all aspects of his passion: periodontology. Dr. Duckworth is trained to provide you with the best possible health for your teeth and gums. His first priority is to save your teeth and make them last a lifetime. When the circumstances create a situation where the teeth cannot be saved, he has 20 years of experience with placing, repairing and maintaining dental implants. Dr. Duckworth’s goal is always to create healthy gums, functional chewing for foods, and a beautiful, natural smile.